Floor-to-ceiling glazing retracts to open up the interiors of this concrete home in Mexico City, designed by local firm JJRR/Arquitectura. 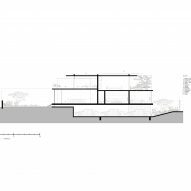 The 600-square-metre property is located in a residential zone, on a site the architects described as a privileged point from which the horizon can be seen to the west. JJRR/Arquitectura elevated Casa Caucaso 1.3 metres above the ground to take advantage of the location. 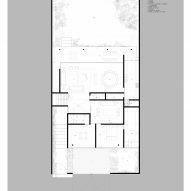 From the street, a concrete and steel staircase to one side ascends to the first floor, while a driveway slopes down to a garage and service rooms below. Suspending the east end of the house over the driveway, the architects intended to make the building's concrete structure apparent. On the west side, an entire wall of retractable glass sheets opens onto a terrace and large garden. 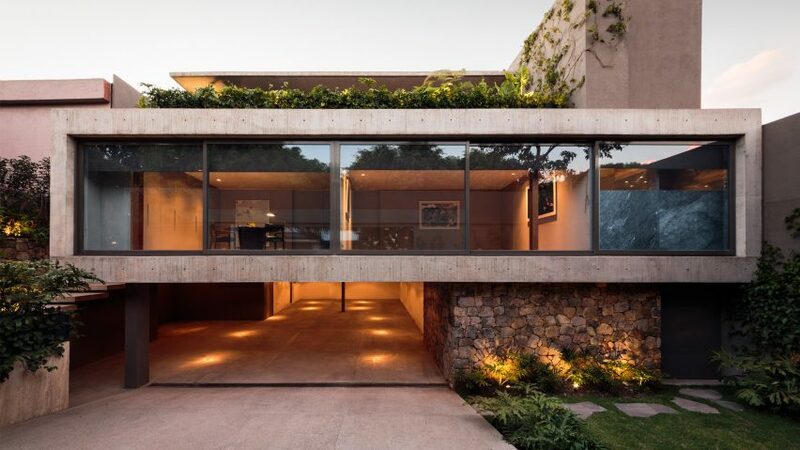 "The house is built using a structure consisting of concrete, stone, steel and glass, where vegetation is also an important part," said JJRR/Arquitectura, founded by architect José Juan Rivera Río. The firm organised the layout of the home around a double-height lobby, topped by a dome to allow natural light into the entrance space. The lobby extends into a combined living and dining area that encompasses the western half of the home. 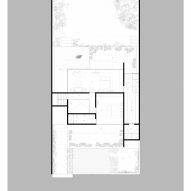 Past a sliding door opposite the entrance, a study, a family room and a guest room are located in the eastern half. 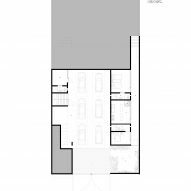 A pair of bedrooms on either side of the house make up the second floor. A hallway connecting the two rooms wraps around and overlooks the lobby. Both bedrooms have terraces with views of the surrounding scenery. Plants bordering these outdoor spaces offer privacy, and continuity with the surrounding landscape. Other recent residential projects in Mexico include a home converted from an dilapidated industrial building, and a weekend retreat set against a mountain range. Photography by Nasser Malek Hernández.